Some new things for the upcoming EarthBound Baaaash have been revealed! Already, a number of guests and attractions have been announced, but now it’s time to kick things up a notch! First up is Marcus Lindblom, the localization director for EarthBound! He’ll be flying in to Tucson to attend the event, and I’m sure he’ll have tons of amazing experiences and stories to talk about and share! And since I’ll be there too, I can at last interrogate kindly discuss some of EarthBound’s localization details with him! It’s gonna be a blast to have him there, and if you’ve ever wanted to say hi to him or thank him or watch him play the game he helped localize, THIS is your chance! And if you have any questions for him, now he can answer you personally! That’s right! Even Shigesato Itoi, the creator of EarthBound, is taking part in a small way! Like past Fangamer events, a bunch of cool and rare MOTHER/EarthBound stuff is going to be auctioned off for charity. But this time there’s going to be a separate charity event that’s on a completely different level – and will go to help a special EarthBound fan! 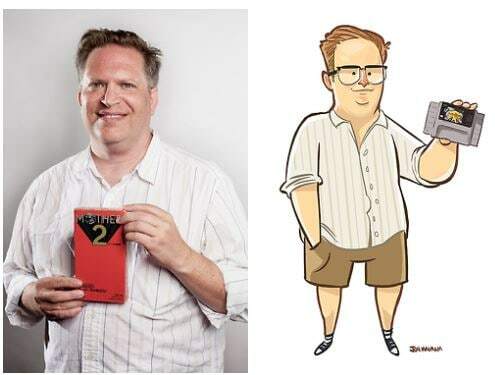 If you’ve ever wanted to have one of the holy grails of EarthBound collecting, this is something to keep your eye on! 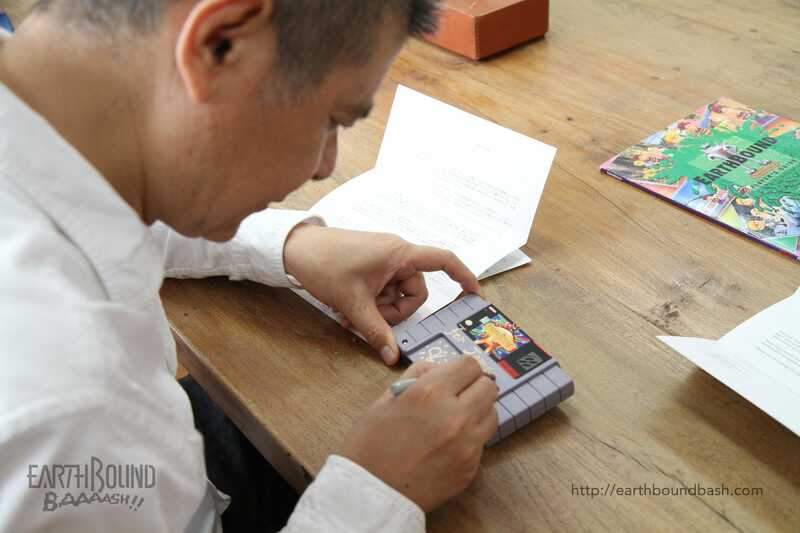 For more pics and details about this Itoi-autographed copy of EarthBound and the charity it’s for, see here. There are still more guests and goodies and fun things to be announced! So stay tuned to EarthBound Central or sign up for a reminder at the official EarthBound Baaaash site here! The Bash starts on the 29th and lasts for three days. Be there or be not-quite-square! This has added a new level of awesome to the bash! I hope James recovers! This just keeps sounding better and better! I actually remember reading about the James story when it first got posted, glad to see the guy was able to get it signed by itoi! Hopefully it brings in some money for James. It’s amazing that,where some fans may gripe that the man said G-EYE-GUS instead of geegus, that the true moment is the fact that help has come in a very meaningful way. I think that may be one of this fandom’s strongpoints: charm, charisma, and belief in happy days, full of fuzzy pickles for all! It truly is incredible to see a people who share a common interest in this great game come together to help someone in need. Wow! How often do you see something so great in the video game fan world. Seriously this is awesome! Mann,I was already sold and thought it was awesome this is just too much…..
What a great cause too this thing just keeps giving! An earthbound baash? im hyped-up! I’ll be sure to tune in. I hope things stay this awesome, and that the cart helps James. Question: Will the stream of the event be available to watch after? It’s just because of time differences and the fact I’ll be away from the computer most of next weekend. I’m not 100% sure how streams work, but I’d be surprised if an archive wasn’t saved. Fangamer’s done a lot of streams/Officecams in the past and they’re still available to watch, so it should be okay.